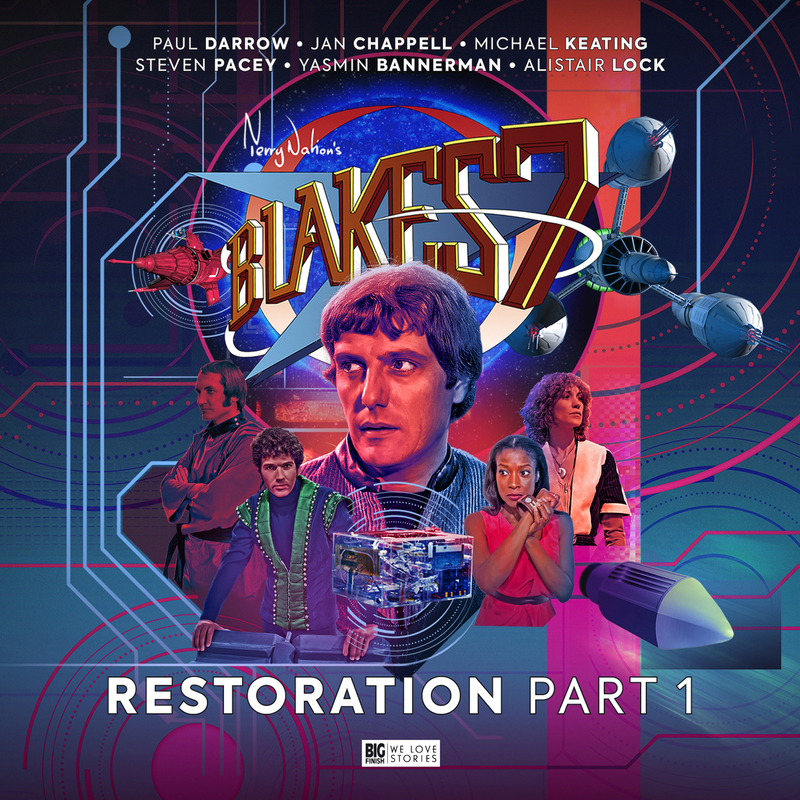 A new year brings a fresh batch of classic adventures for Blake’s 7, the first of three box sets which will make up a mini-series under the umbrella title ‘Restoration’, in the same way the last three releases did for Crossfire. Nestled in a sweet spot of continuity towards the end of Series C; post-Blake and Jenna but before Scorpio, original cast members Paul Darrow (Avon), Michael Keating (Villa), Jan Chappell (Cally), and Steven Pacey (Tarrant) reprise their original roles, with Yasmin Bannerman playing Dayna and the versatile Alastair Lock rounding out the cast as both Orac and Zen. Sometimes the resolution to a dramatic cliffhanger can seem trite or perfunctory, but Trevor Baxendale, lead writer on Restoration, provides an intense opening sequence which not only rescues our heroes from immediate danger, but sparks the rest of the tale. Thoughts of the battle between Servalan and her predecessor for the Presidency of the Federation must be put aside as the crew have more pressing concerns; with the Liberator critically damaged, Zen – the ship’s central computer – is itself fatally compromised. In it’s death throes however, Zen finds a way to launch them on a desperate mission, seeking elements essential to those famous self-repair circuits which have saved the day so many times before. While the story smartly divides the crew, with Avon, Dayna and Villa heading planet side for action in a monster-filled cave system, it leaves Cally and Tarrant with plenty to do on board the ship. 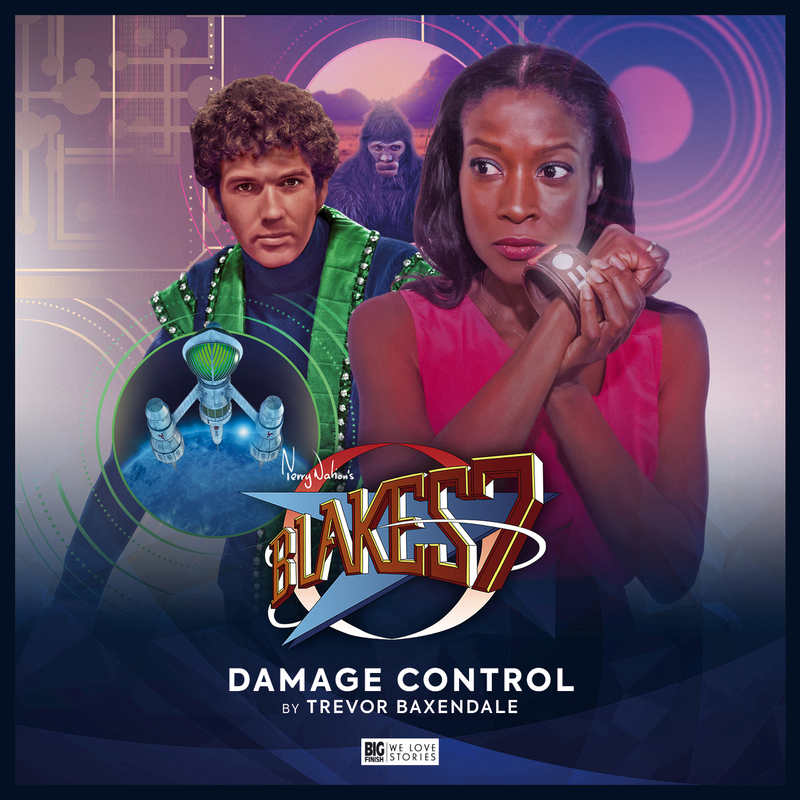 Attempting further emergency repairs, which prompts a hilarious exchange between Orac and Cally (with the latter giving the crotchety computer a taste of his own medicine), it seems the greater threat may be Tarrant’s own fragile state of mind. With Liberator out of the picture, its crew busy scavenging vital components from a communications array, writer Iain McLaughlin calms the pace with a submarine movie vibe. Playing cat and mouse inside an asteroid field, Villa and Avon lurk on board a borrowed ship while General Mordekain commands the Lethal Shadow. Also with designs on that array his passenger, the President, has a plan to restore Federation wide communication and control. The story offers space for several sparkling exchanges between Avon and Villa, the master tactician and the supreme coward, both in need of each other to stay alive. In contrast, Mordekain (John Green) and the President (the urbane Hugh Fraser) give us the opposing view, with the President increasingly frustrated at Avon’s ability to elude them. Has the rebel leader Avalon really started killing civilians? Cally cannot believe it, but as she and Tarrant are drawn into the conflict on Gamma Vynos II by Kestra (Harriet Collings); a rebel contact, they discover there is far more going on than first appears. 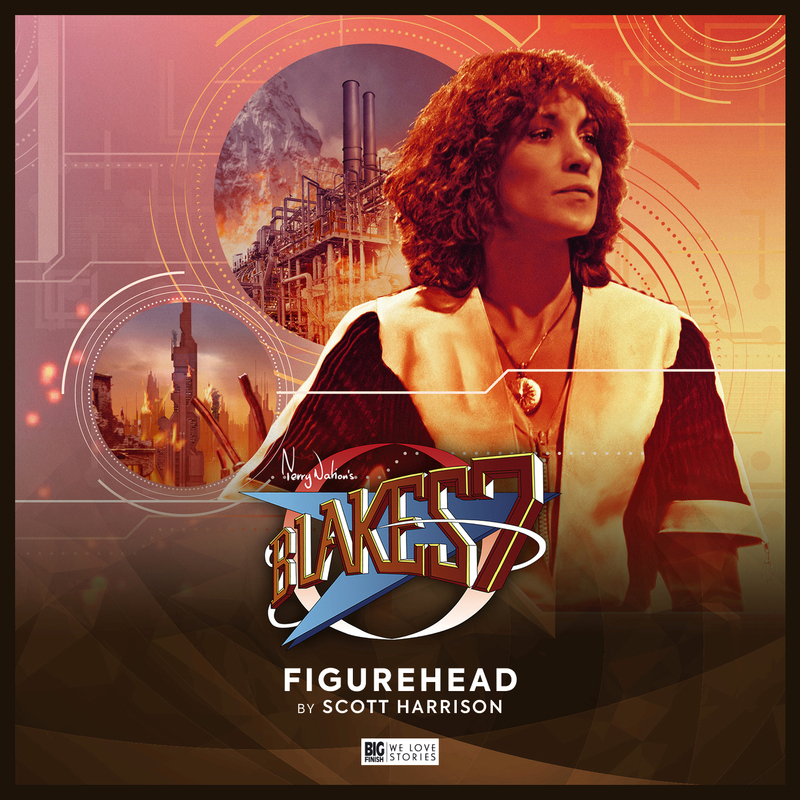 Writer Scott Harrison weaves a clever and complex tale which I would not dare spoil, with call backs to ‘The Way Ahead’, Big Finish’s cracking 40th Anniversary tale, and also provides another face-off with the scheming Zeera Voss (Rebecca Crankshaw). Olivia Poulet (The Thick of It) returns as Avalon, while Jonathan Christie gives an entertaining performance as the Federation officer turned rebel leader Jaryss Vull. In a tense finale, written by Steve Lyons, the crew grapple with what seems to be inevitable; the Liberator is beyond repair. With one last role of the dice, they spring engineer Ozaban (Ian Brooker) from a Federation prison as he has some experience with the technology of ‘The System’, the alien creators of the ship. As things look increasingly grim for the Liberator, it is revealed that the ship cannot sustain life support for the whole crew and tough decisions must be made. While Cally remains a lone voice of unity, the others begin to jockey for position and make their case to Avon in one way or another. Focussing closely on the crew and their relationships with each other, this is another episode which kept me guessing right up to the end – and for my money is the standout story for this set. 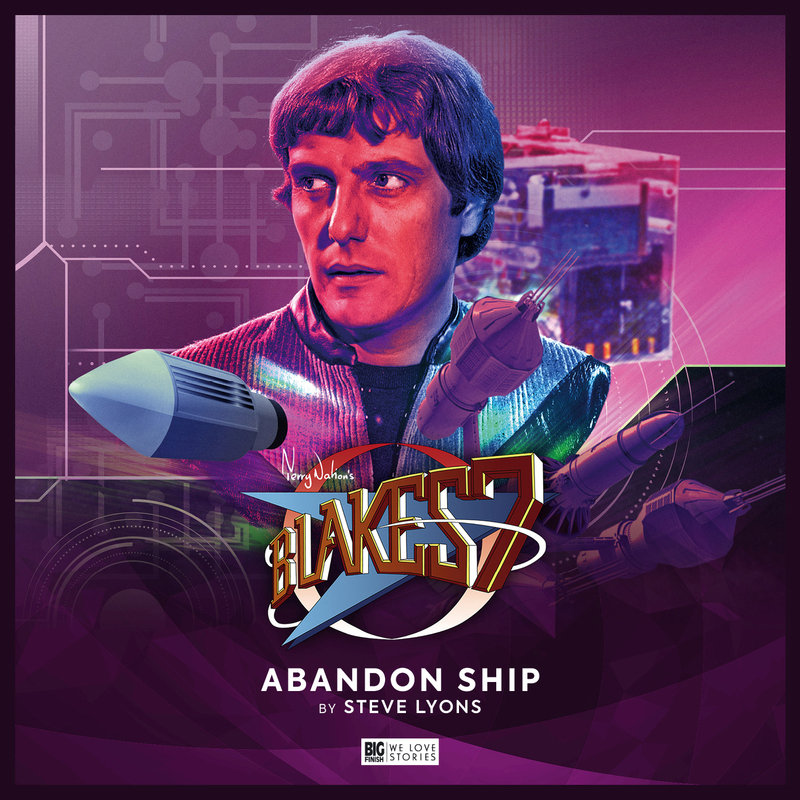 While the theme of this box set is principally Avon’s quest to restore the Liberator to its former glory, the title has other connotations; it may be equally applicable to the reinstalled President’s desire to re-establish his control over the Federation, as well as possibly to Tarrant’s state of mind. Servalan’s departure from the storyline at the conclusion of Crossfire, sadly necessary due to the recent death of the iconic Jacqueline Pearce, is a blow to the series. Her character’s absence tunes in with series continuity though, as Servalan returned in Series D under a new guise, and the role of principal antagonist is filled here in a number of ways. 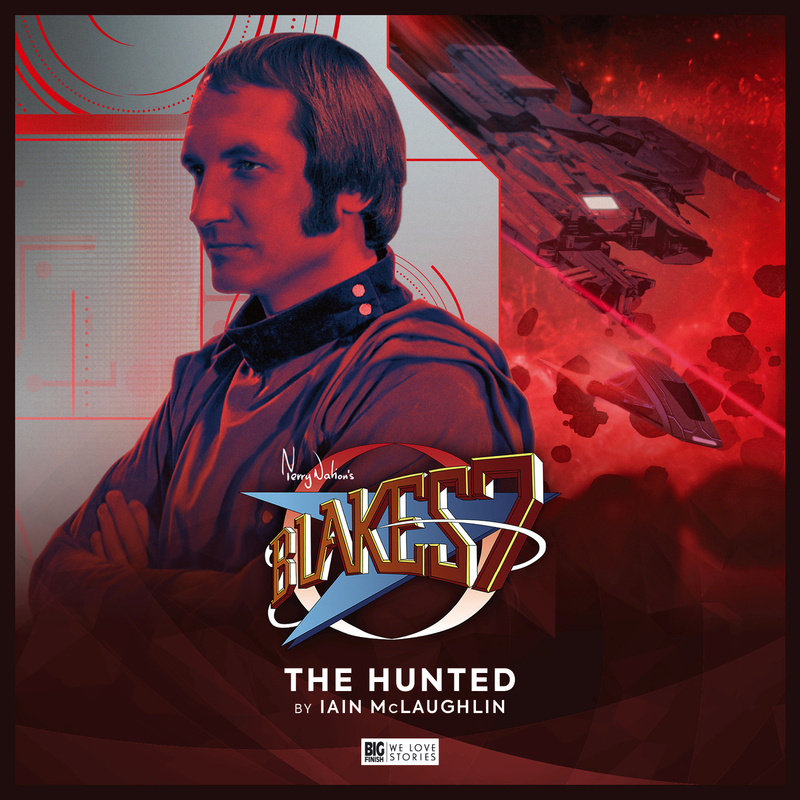 Presidentially, Hugh Fraser returns as the President who Servalan usurped and he is keen to consolidate his grip on power, backed by General Mordekain – the Travis to his Servalan, if you will – who is somewhat of a nemesis for Tarrant. We predict a grand space piloting rematch between the pair before Restoration is done. Additionally, there is Zeera Voss, Servalan’s former henchwoman, who ostensibly works for the Federation but also seeks to further her own interests too. While the President offers the official face of the enemy, Voss is the schemer and this make her an idea foil for Avon. Her appearances in this set, particularly in ‘Figurehead‘, shows wonderfully nefarious promise. While all the crew are well catered for in terms of plot, I particularly enjoyed the development of Tarrant’s personal story. It would have been easy to have him absorb the death of his remaining family members and move on – dwelling on it allows him to have a crisis of confidence which not only creates valuable extra tension between the crew, but also gives Steven Pacey some great material to work with. Fortunately, we are not all from the empathy-free school of hard knocks which spawned Avon! While the Extras on these releases are always entertaining, these expand the scope a little with some valuable insight from all three of the sound designers. My favourite gem was from Nigel Fairs, who revealed the source of the effects for Avon’s borrowed ship in ‘The Hunted’ was his hoover!